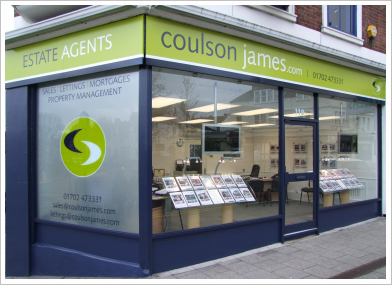 Coulson James is an independent and family run property agency and we are based in a prestigious and prominent office at 110 Broadway, Leigh on Sea opposite the Grand Hotel. Specialising in Residential Sales, Lettings and property management, our aim is to exceed your expectations through quality of service. Our extensive local knowledge and determination is paramount in helping us achieve the maximum price for your property in the quickest timeframe. We have been advising on local property matters since 2003 and whether you are looking to sell, buy, rent or let, Coulson James will provide an unrivalled professional package to suit your individual needs. Please call or email us for further details on	the services we are able to provide.